Sometimes, little things get to me. Once such instance happened the other day as I walked home from work and came upon a dumpster in the street. What drew my attention was a sad-looking elderly man standing next to it while a little girl excitedly pulled a game of Operation out of the pile, saying, "Look, it's a real Operation game, Grandpa!" He nodded at her, but seemed uninterested in her discovery. 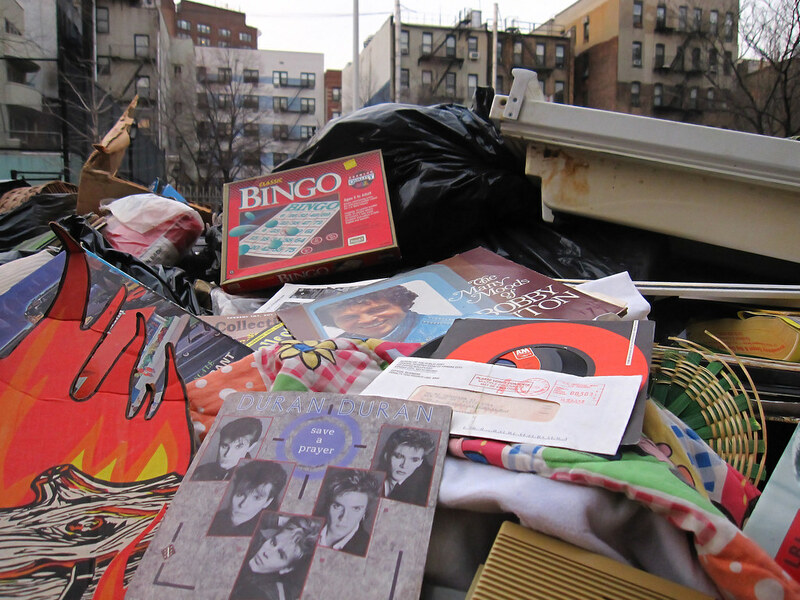 As I approached, I saw the dumpster was full of records, books, games, toys and some other interesting items. This stuff looked pretty good - too good to be in the trash. It looked important, so I pulled it off the pile. It was a social security check. That's when the elderly man turned to me and, with a vacant look on his face, said, "He was such a nice man." He went on to tell me the owner of the contents had lived in the building behind us for many decades and had passed away. The new landlord had bagged up the entire contents of the apartment that morning and threw it all down the stairs. No one had come to clean out the apartment, sell anything, give things to charity or even salvage anything of value. By this time, people were gathering around the dumpster and pulling things out. There were some very nice books a young man was collecting in a stack. The little girl pulled out a Battleship game. The old man said there were many bags at the bottom of the dumpster and seemed to be waiting for people to dig down far enough to reach them. I pushed aside a 1977 Saturday Evening Post featuring Jane Pauley and pulled out a black book with 'Archdiocese of New York' stamped in gold on the cover. Inside was a diploma. This was not right. I showed it to the man and he sucked in his breath. "That's him!" he said. "He was so nice...I can't believe they did this." He said he knew the family lived in Staten Island, so I gave him the diploma and said if he couldn't pass it on to them, I would. In the photo below, the paper under the horse is a letter regarding a last will and testament, which appeared to be that of the deceased man's father. This was getting to be too upsetting, so I walked away. 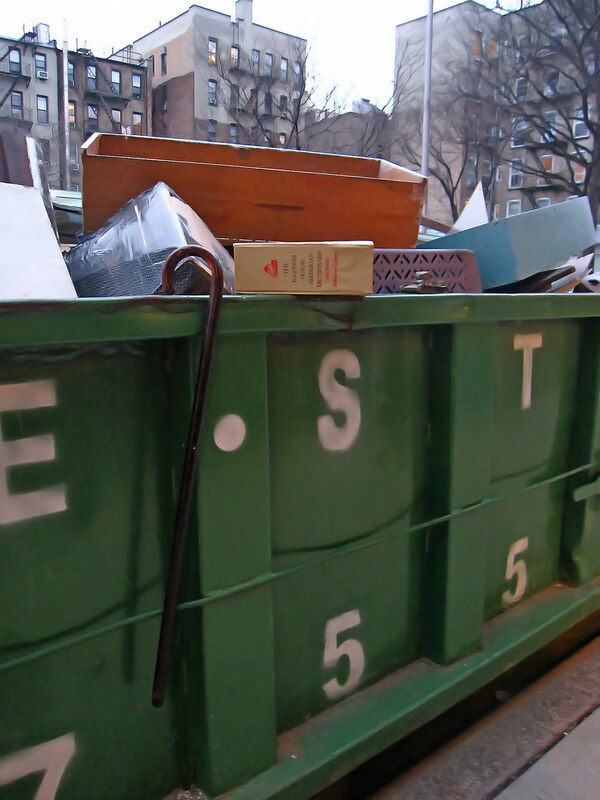 See more dumpster photos here. That's heartbreaking. I recently had to empty my cousin's house who had no children. There were many hundreds of photos of her as a child from the 1940's - her father was a pretty good photographer, and I had to throw them away, nobody wanted them, I couldn't take them all. Also her diplomas, a lifetime of photo albums, a lifetime of jewelry (mostly costume but a lot of it), old lace tablecloths etc. It was really sad. wait, he had a Duran Duran scrapbook? I can't imagine that his family lives on Staten Island and they didn't even come to get his stuff. Sad, indeed. I guess you can look at it from the point of view that at least his property went to people that will enjoy it. And I really have to know, what did you take? It looks like a goldmine of cool and vintage items. That's brutal. I realize it's just, you know, stuff, but it all meant something to a very real someone. 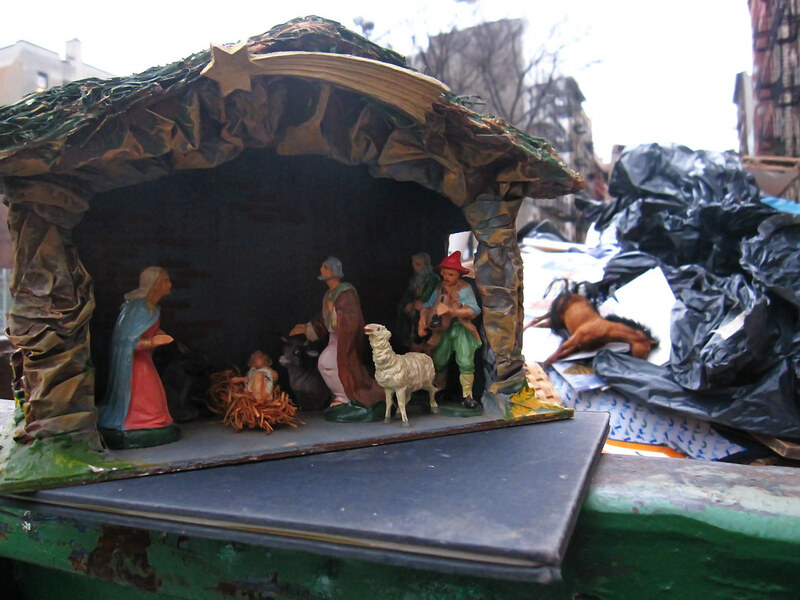 It is near-heartbreaking to see it all on the trash heap. I'll posit that you took the Richard Chamberlain album. In the 1980s you saw stuff like this all the time; the old Polish and Ukrainian folks were beginning to die off, the family wanted nothing because the stuff was all "old" and they were into more contemporary (plus they probably didn't want the memories), hence the landlords tossed everything posthaste. I furnished most of my apartment that way with some really amazing goods, but it's a sad statement indeed. This really touched me (and made me so so sad). I recently cleaned out my mom's belongings and took tons and tons of old pictures. I scanned about 500 of them and made an album online and shared with other family members and made a video. I look at them often. I find them comforting. This makes me cry. This is someone's life not garbage. I am glad people appreciated the contents so much they took them as valuables as opposed to trash. Lovely tribute Goggla. A lovely post, Goggla. The landlord could have had the decency of donating this to a charity. Now he'll renovate the man's apartment and jack up the price to $3,695 a month. This really really made me sad. So heartbreaking. All the poor man's belonging's just thrown away like it was nothing. I'm disgusted by the landlord. I'm guessing you took the American flag? That landlord's actions disgust me. This kind of action is why I am beginning to hate this city. This post made me cry while the photos just made me more and more curious about the deceased man's life. Overall, a heartbreaking but poignant post about the changing face of American values and NYC greed. Great work. spectacular documentation of our city's older citizens, tucked way in small corners not furnished by Ikea. Thank you so much for honoring a neighbor. I'm so sorry this post made many of you sad, but I'm glad I'm not alone in feeling that way. @Marty and Roger - here's what I took. 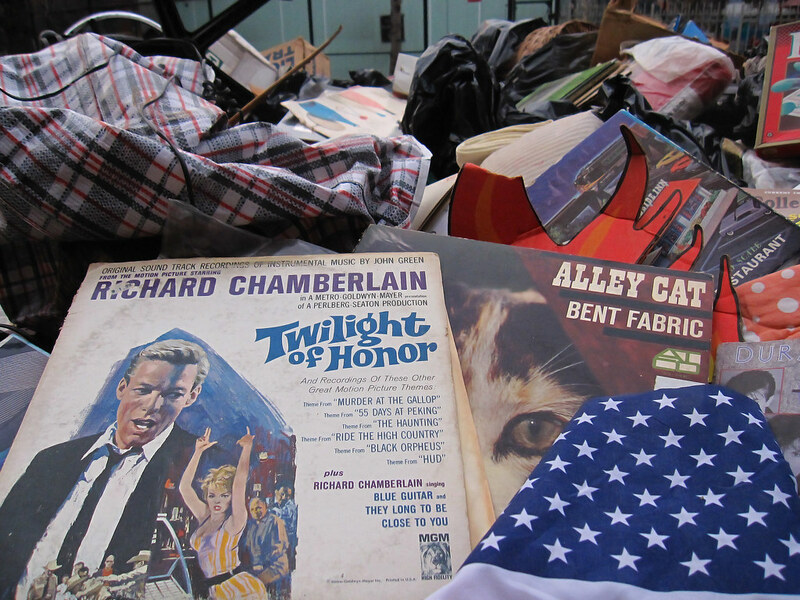 At the Chelsea flea market (West 25th Street, between Broadway + Sixth Ave), you can often find stuff belonging to the deceased, from storage rooms, basements, apartments. 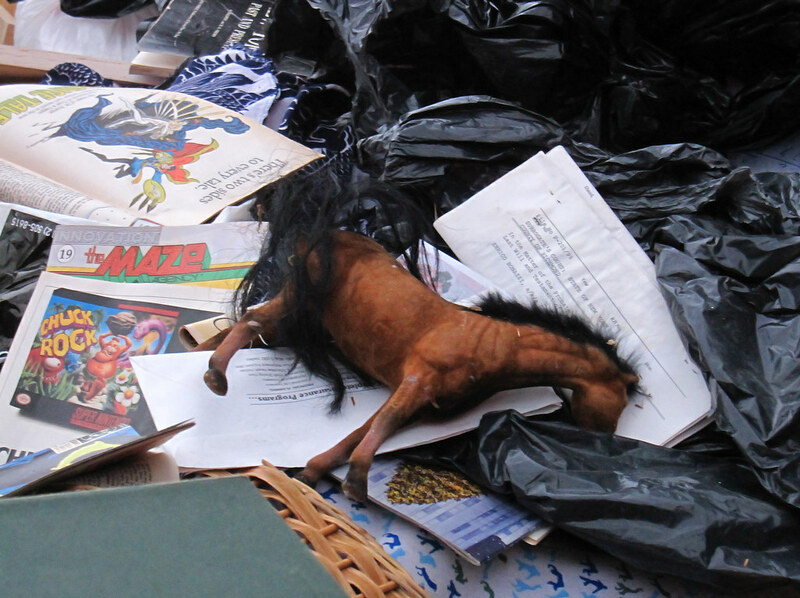 It's sad to see a person's life represented by the stuff he or she has collected and accumulated, being gone over by complete strangers, but at least it's being recycled and finding its way into the lives of others. oh my god...that is truly heartbreaking. I can't even imagine how upsetting it was for the elderly man watching what remained of his friend's life discarded like that. Probably putting himself in his shoes. I'm glad that you and others were able to take some things and cherish them. It happened to an elderly neighbor of mine who was also a hoarder. They threw her stuff literally out the window and others and I tried to salvage what we could. Some of her things are in my home now, but the tossing made me sick. @Goggla: The photo of what you took brought a smile to my face! Thanks!